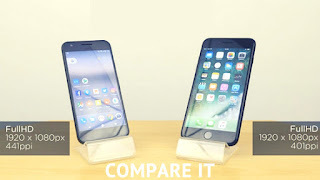 Apple iPhone 7 vs. Google Pixel, Which is the Better! The latest Google Pixel series replaced the Nexus line of smartphones for good. 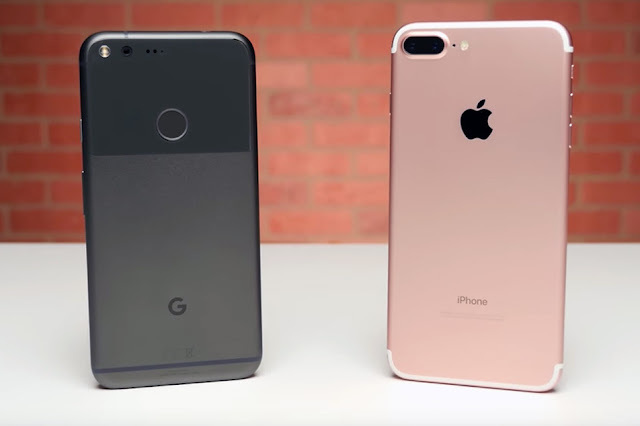 Pixel being the smaller version of the new Google releases looks a lot like Apple iPhone 7. It’s quite a surprise that Google features an amazing line of smartphones which are not small sized as compared to the Nexus series.Pixel is good enough in all aspects to compete with Apple iPhone7 in Pakistani mobile market. Google Pixel outclass Apple iPhone 7 in many ways including battery, screen size and camera. Whereas Apple iPhone 7 is also packed with a lot of interesting features that Pixel cannot match. Here is an in-depth analysis of the similarities, differences and outstanding features of both the devices that will help Pakistanis out in choosing their desired smartphone device! At a glance, both Apple iPhone 7 and Google Pixel feature premium design with fingerprint sensors. While Apple’s device is lighter, smaller and slimmer, Pixel is slightly larger with a better screen size but heavier in weight – both Apple iPhone 7 and Google Pixel mobile devices are quite competitive not only in terms of mobile prices in Pakistan but also in terms of specifications and features online! Both the devices look the same at some level and offer well-built designs to give a premium feel. The stunning design of Pixel is a combination of aluminum and glass while iPhone 7 is all aluminum. Pixel opted for a fingerprint sensor at the back while iPhone 7 has one just below the home button. The Google mobile phones is close to iPhone 7 but lacks water or dust resistance. 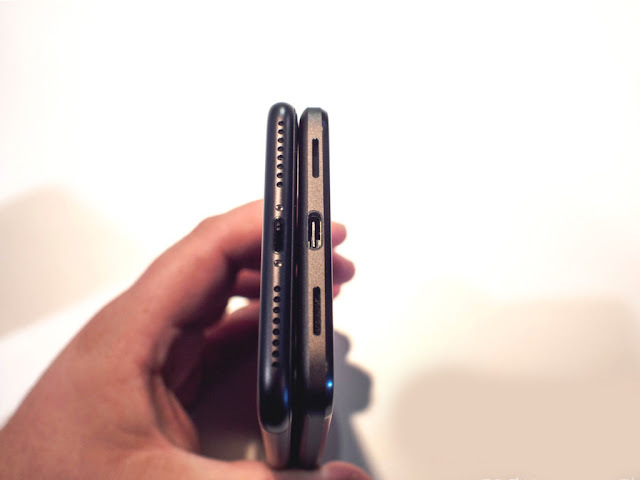 Apple got rid of headphone jack to house two stereo speakers while Pixel has two speakers on either sides of the USB-C port. They are not the best speakers as compared tothe speakers present in top-rated smartphones but definitely better than many. Pixel has a screen size of 5-inch display with 1920 x 1080 pixels for a 441ppi pixel density. The screen is not Quad HD but has a Corning Gorilla Glass 4 using AMOLED technology. This means that Google device features better viewing angles and vibrant colors. Apple iPhone 7 has a lower screen resolution of 1334 x 750 on a display size of 4.7-inch for a pixel density of 326ppi. The differences in image results are not quite apparent because there isn’t much difference between the two. Looking at the numbers, Google Pixel offers better quality display as the images are bright and crisp. However, with the current Apple iPhone 7 price – specs in Pakistan– it is still has a better display because of higher brightness and wider color gamut. 12.3MP rear snapper in Pixel offer an aperture of f/2.0 along with some additional features including optical image stabilization, laser face detection and LED flash. While Apple iPhone 7 houses a 12MP snapper which is slightly lower in number as compared to Pixel but has a wider aperture of f/1.8.Pixel has a front snapper of 8MP beating iPhone 7 which has a 7MP snapper. However, both the devices give almost the same quality of crisp and bright images because the difference is not quite visible. Both Google Pixel and Apple iPhone 7 runs on quad-core processors but Pixel is equipped with more RAM. Pixel has a Qualcomm Snapdragon 821 processor under its hood with a RAM of 4GB for support. While iPhone 7 is embedded with A10 Fusion chip supporting a RAM of 3GB. Apple’s iPhone takes the limelight with multiple storage options starting from 32GB and go as high as 256GB. However, Pixel starts from 32GB and go as high as 128GB. One of the major drawback of Apple iPhone 7 is its small battery of 1960mAh which is quite disappointing. Pixel houses a battery with a capacity of 2770mAh that lasts longer than Apple. Google mobile phones - that runs on the latest Android software Nougat which is housed by just a handful of smartphones. Both the handsets have different but both have built-in personal assistants in the software. Pixel supports Android 7.1 Nougat with Google Assistant which appears when the Home button is pressed for a long time, resulting in a pure Android experience. Apple iPhone in Pakistan brings all the latest features with its personal assistant in iOS 10, delivering a smooth and seamless experience for the local Pakistani mobile or you can say iPhone users. Apple iPhone 7 and Google Pixel are closely matched handsets in terms of all the features, specs and performance. Pixel beats iPhone 7 in resolution, screen size, battery performance and capacity, RAM and impressive camera resolution. However, Apple is not far behind in terms of waterproofing, size, functionality and provide better storage options. 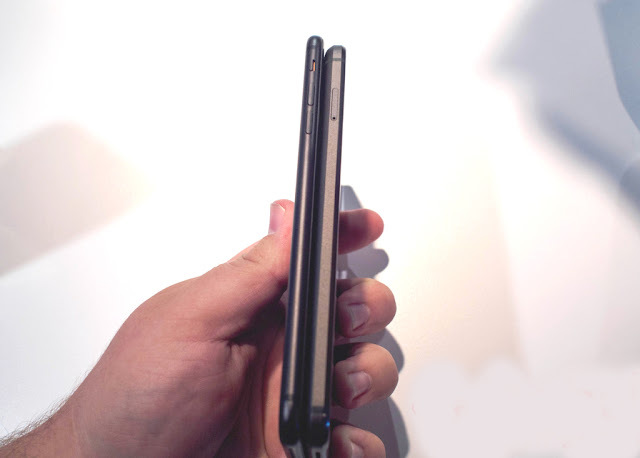 The final decision about which device is better than the two comes down to the brand name and design of these two premium phones. 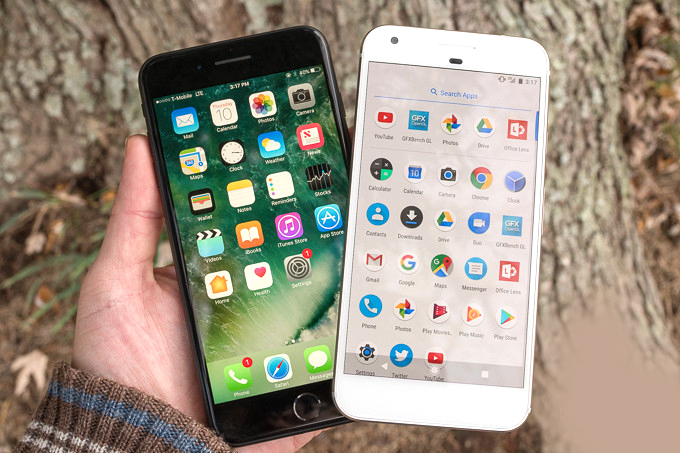 Both Google Pixel and iPhone 7 give a strong performance and feature a solid built.